Greece is located in Southern Europe and has one of the largest coastlines in the Mediterranean. The country is renowned for its ancient civilization which created the ancient Olympic Games, nearly 3000 years ago in 776 BC. It is no surprise therefore that sports betting has always been common in the region. In this guide to online sports betting in Greece you can first find a brief history of the industry in the country. Then the current situation of online betting is looked at along with how taxes on winnings will affect you. Following there is a section on how betting sites accommodate Greek customers before finishing up by looking at possible changes in the future. The most significant piece of Greek gambling legislation came about in 1996. 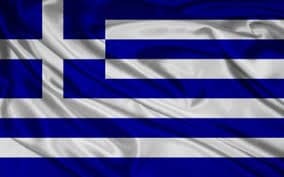 Under the claims of regulating sports betting and gambling in their jurisdiction, the Greek government awarded exclusive bookmaking rights to the State backed company the Greek Organization of Football Prognostics (OPAP). Furthermore while these rights were originally set to expire in 2020, they were later extended to 2030 . This has led to OPAP becoming one of the world’s largest bookmakers. In addition to causing a large black market to form, due to the lack of competition, the Greek monopoly caused concern among other EU members and frustration among the locked out companies. UK companies Stanleybet, William Hill and Sportingbet all tried to apply separately for Greek licenses between 2004 and 2007, only to have them rejected. The companies argued this breached EU free market laws and Stanleybet chose to go ahead and just open a shop in Athens in November 2008. This was swiftly closed by the authorities  although intervention on the part of the EU led to the shop reopening in 2009. After the monopoly was deemed to be illegal by the EU in 2013 , the Greek government agreed to sell a controlling stake in OPAP to a private investment firm. The ruling also resulted in Stanleybet threatening to sue Greece over loss of earnings since their application was rejected in 2004 . In order to find alternatives to OPAP’s monopoly of the Greek market a black market quickly emerged. Around the same time, internet betting, casinos and poker started to become more common. This assisted the black market operators and gave Greek citizens the opportunity to bet in their own homes. Realising the growth in the gaming sector the government rushed through laws in 2002 to ban this, resulting in poorly worded legislation which applied to all electronic gaming, not just gambling and covered video games and arcade machines . As economic hardships hit the country the government was forced to repeal these laws in 2010. In 2011 Greece organized 24 interim licenses for online gambling companies, such as William Hill and Ladbrokes, while the details of new laws were being organized. The following year it was decided to essentially scrap this idea and continue to keep a monopoly in the sector though OPAP, as the country had in land based gambling. This stance on online gaming was included in the 2013 EU ruling that OPAP’s monopoly was illegal  after concerns about the online market were raised by operators including Bwin.Pary and Betfair. OPAP reported a 72% drop in profits in 2013 blamed on the loss their tax-free status and that Greek bettors were either abandoning online gambling completely or using international operators. The taxation laws for Greek sports-bettors were changed in 2013. Prior to then a flat 10% tax applied to all gambling winnings. The change brought in a tiered system where winnings between €100 and €500 were taxed at 15% and winning above that threshold were taxed at 20%. The good news for small stakes bettors is that winnings below €100 are now tax free. The move was intended to encourage an increase in small stakes bettors who may have previously been put off by the flat tax rate. Of course if you can get onto a non-OPAP site there is no framework in place to tax you on your winnings through the site, so paying these taxes will be your own responsibility. 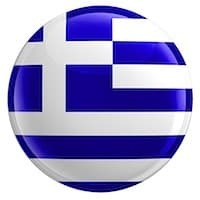 Despite the current Greek law only supporting OPAP, most of the top online bookmakers accept Greek customers and many offer Greek language support on their websites. These are mainly the large UK based companies who obtained the 2011 interim licenses and set their sites up to cater for Greek customers. The downside is you may struggle to find operators who offer customer support in Greek. Of course there are no problems using Euros on any reputable sites. Credit card deposits can be made with Visa or MasterCard and there are no problems with Greek banks processing these transactions. Alternatively you could use one of the web wallets like NETeller or Skrill for fast transactions. As of yet there has been no movement in response to the EU’s ruling in 2013, with regards to letting in new operators. The government has given up the majority of their stake in OPAP and removed its tax free status. In order to recover the ongoing income they will lose from this you would imagine the next stage is to get new operators in the country and start to apply charges and taxes to them. While these legislative changes are still pending, Greek bettors are able to choose from a huge selection of online betting sites. If more operators are licensed, this will lead to greater competition, which can only be a positive for Greek punters. Watch this space.